For those of a certain age, the Saturday morning serial (whether you saw it on TV before the Tarzan movies or at the movies along with a cartoon and newsreel) is a wonderful thing, an episodic mini-movie designed to leave you at the edge of your seat awaiting the next installment. Room escape games have their own version of a serial that never ends, and No1Game is back with the next episode, Find the Escape-Men 43: EM-taro. This time around it won't be pretty! Actually it will be pretty since the lovely traditional Japanese room the game takes place in is a serene concoction of wood and tatami, populated by a classic fire-pit and suspended cook pot. Find the Escape-Men 43: EM-taro is, as implied by the title, the 43rd episode in the grander scheme of things, finding those green running stick figures you see on exit signs around the world. Why do you need to find them? Duh, because they show you the way out! Finding those elusive men won't be easy, as it involves solving some puzzles, poking around, and making use of some found objects. The usual navigation arrows/bars help you explore the space as you search for those elusive guys wherever they may be hiding. 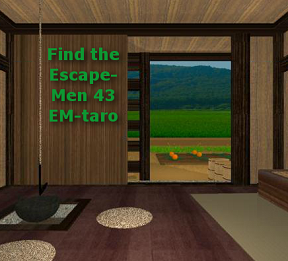 Find the Escape-Men 43: EM-taro is bilingual and can be played in both English and Japanese. The inventory system is easy to figure out and the puzzles are fun and not too simple. If there is a criticism to be leveled it is that No1Game has eschewed the use of a changing cursor, leading to some pixel hunting. Think of Find the Escape-Men 43: EM-taro not as a feature film but as a lovely animated short, something to hold your attention for ten minutes or so and provide a lovely mid-week break. Find the Escape Men 43: EM-taro Walkthrough now available! Make sure to change the language before you start the game. There are 10 escape men to find, as is usual for one of these games. Like their counterparts in the real world, the escape men will point the way out. Make sure to examine everything you pick up, items may hide clues. There will be directions for the color-blind in the walkthrough. You begin the game facing an open door. Not much of an escape if there's an easy way out, is it? Wait and contemplate the pretty scenery. Pretty soon a familiar looking farmer will pass by, click on the farmer (escape-man 1). Now click on the open doorway to see the little garden. There is a nice planting here, notice the plants. There is a large stick lying on the ground below the plants, take it. Also note that the scarecrow is an escape-man. Take him (escape-man 2). Note that when looking through the open doorway you can just barely see some barrels on the right side of the door. Click on the barrels for a close up. There are three barrels here, you can click on them and they will lift up, but there doesn't appear to be anything underneath. Wait, there's a pattern on the wall. Could it be a clue? Back up into the room. Now click on the left side of the sliding door to the outdoors to close it. Click on the left side again to open the sliding door on the other side. Hey, there's some stuff out there, let's explore! Click on the now open left side of the doorway to go forward. Out here there is a large jar with a lid, but you can't open it. There is also a wooden table with a small piece of wood on top, and a ladle below. Take the ladle. Click on the small piece of wood on the table to lift it up, then click again to reveal the escape-man (escape-man 3). You are now facing a wall. On the left a strange object is hanging from a suspended piece of wood over a table. On the right is a strange pattern of colored dots. Click on the strange hanging object to take it (gourd). While the gourd is in close up click on it to open it, then click again to turn it upside down. The gourd will drop out several objects. Click on the objects to take them (round things). Click on the table below where the gourd was hanging. Looks like a 3 x 3 grid of round holes. Back up. Click on the colored dots for a close up. Look closely at the green dot in the top middle, do you see the outline of an escape-man? Click on the dot to bring the escape-man into focus, then take him (escape-man 4). Note the code lock below the dots which features shapes. Back up and turn right. You are now facing a wall with masks on the left and a scroll hanging on the right. The masks are a dog, a cat, and a parrot. And there's a large...what is that thing in the right corner? Click on the masks for a close up. Click on each mask individually and they drop down, revealing some colored dots and arrows. The first mask, the dog, shows the following dots: green, blue, pink, purple, black, and green. The middle mask, the cat, shows: blue, orange, yellow, black, and blue. The right mask, the parrot, shows: red, orange, blue, red. Click on the low table below the masks. Looks like a 3 digit code. Click on the code buttons and you will see dots appear over the faint escape-men. Hmmm, those look like dice. Back up. Click on the hanging scroll for a close up. Hey, there's something at the top of the scroll! Use the stick you got from the garden to get the object (another scroll). Click on the scroll to open it and you will see a picture: water plus something else in a bowl = ? 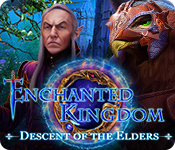 Click on that patch on the right of the scroll and you will see six dots and another escape-man. Take the escape-man (escape-man 5). Close down the scroll and back up. You can click on that...thing in the right corner, but it only moves slightly and doesn't reveal anything. You are now facing some clothes hanging from the ceiling. There is a small hole in the wall below and left of the outfit. To the right is a fire pit and a hanging pot. Click on the clothes several times to dislodge the escape-man hiding there (escape-man 6). Click on the hole for a close up. There's an escape-man in the hole, but he's hard to catch. Note the empty bowl in front of the hole. Back up. Click on the hanging pot for a close up. There's an escape-man in there, but he's caught somehow and you can't take him. You are now back at the beginning. 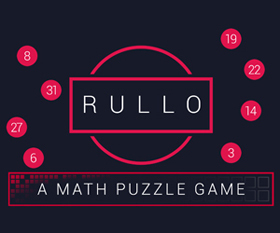 Time to solve some puzzles! Click on the left side of the sliding door to close it, then click on the right side to open the side where the garden and the barrels are. Click on the barrels for a close up. Maybe the pattern on the wall above will help? Note the pattern of the dots, the dots are either on the left, in the middle, or on the right. Just like the position of the barrels. The lines between the dots are the order. Using the pattern, click on the barrels in the following order: left, middle, left, right, middle, left. When you lift the last barrel you will find another escape-man (escape-man 7). Turn right to face the wall with the colored dots. Click on that low table on the left for a close up. Where have we seen a pattern like that? The garden is laid out in that 3 x 3 pattern. And some of the plants have round fruit, just like the holes in the table. And there are five plants with fruit, and you just happen to have 5 round things from the gourd. But look closely, there's a twist. Notice the stick in the back left corner of the grid? There is also a stick like that in the garden, the one where the escape-man was being a scarecrow. But that stick was in the back right corner. Therefore, you need to take the garden pattern of fruit and rotate it left (counter-clockwise) 90 degrees so that the sticks match. Place your objects in the left middle hole, the middle-middle hole, the bottom middle hole, the upper right hole, and the lower right hole. If you solve the puzzle the chest will open revealing a large plate, take it and back up. Click on the colored dots on the right side of the wall for a close up. There is a line of dots down the left side, orange, purple, white, and blue. The upper middle dot is green. On the right side going down is red, pink, yellow, and black. Where have we seen these colors in the room? The colored dots behind the masks are the clue. If you draw an imaginary line between the dots following the pattern behind the masks, each one makes a shape. The first mask, the dog, had green, blue, pink, purple, black, and green. If you draw lines between those colors you get a shape: a five pointed star. The second mask, the cat, had blue, orange, yellow, black, and blue. If you draw the lines between those colors you get a trapezoid (an uneven four-sided shape). The third mask had red, orange, blue, and red. Draw lines between those colors and you get a triangle. Set the buttons to the shapes you just discovered using the dots. If you set the buttons correctly, two objects will fall into the slot, a bag and a handle. Take them both. Close the right side of the door, then open the left. Click on the large jar for a close up. Click on the top of the jar for a close up. Place the handle on the lid. You can now open the jar. Lift the lid to see water. Use the ladle to get some water and back up twice. Click on the hanging pot for a close up. Use the water on the pot to free the escape-man (escape-man 8). Now how do we get the escape man in the hole in the wall? Remember the scroll, it had a clue. Adding water to something in a bag in a large bowl. We have a bowl (or, rather, a large plate), a bag of flour, and a ladle to get water. Click on the jar twice for a close up. Open the lid and get water with the ladle. Close down the ladle and pull up the plate from your inventory. Use the bag of flour and the ladle of water on the bowl. Click on the concoction and you will make...EM dumplings. Close down the dumplings and back up twice. Turn left to face the clothes, then click on the hole for a close-up. Use the dumplings on the bowl in front of the hole then back up. Click on the hole again and you can now get the greedy escape-man (escape-man 9). Now where is the last escape-man? Maybe he's hiding in our inventory? Pull up the sack of flour from your inventory. Click on it to open and you will find the last escape-man (escape-man 10). Note that as soon as you get the last escape-man they rearrange themselves. Watch closely, they form a group of four, another group of four, and a group of two. Turn left to face the wall with the masks. Click on the low table below the masks for a close up. The escape-men just gave us the dice pattern, 4, 4, 2. Click on the buttons to make the pattern of dice, click the large button beneath them, and the chest will open, revealing a giant knife. Click on the giant knife. The giant knife will cut open the...thing in the corner, revealing a giant escape-man. If the pattern of rearrangement of the green men once you find all of them is supposed to be the clue for the dice-dot combination lock/puzzle, I'm not seeing it. I only have the EM dumplings in my inventory, though I already used one to get the guy from the mousehole. I don't have an item for the bottom-right slot. All I see to interact with are the dice combination and the sack in the corner. I seem to be in the exact same position as mystify. At least I'm not alone here! Examine the sack of flour after you used it for the dumplings? Same spot at Mystify and metacom. I know its just a hotspot that I haven't clicked; frustrating. Open the right side of the sliding door (the one facing the garden) and sit back and enjoy the scenery? I was missing the first one from the walkthrough. I've actually seen the tale of Momotaro adapted into a few other point-and-click games. I recognized it instantly just from them! Can anyone tell me what that hanging banner in the game says? Just curious. I can't get the game to load with Foxfire, Chrome or IE. 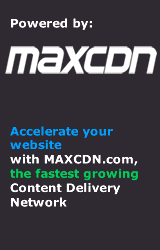 I just get a black rectangle with Sponsored Link on top. I've tried clicking randomly in the black area to no avail. Any suggestions? That's a lot of question marks. Oddly, the preview showed the Japanese characters just fine. @Jay, is it expected that the comment system does not accept Unicode characters? This didn't work on Firefox in me, but not in Chrome. Also regarding the "enjoy the scenery" hint, the relevant occurrence did not occur until I'd clicked onto another tab and clicked back. Yep, a watched pot doesn't boil. 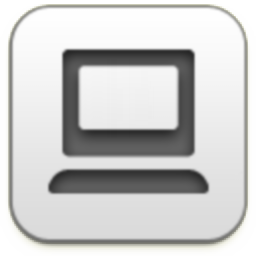 @Stachey: I couldn't get it to work in Firefox until I turned off my ad blocker. Then the ad loaded, and then the game loaded. @cendare - that's why I try it with Chrome and IE, they don't have the AdBlock or NoScript add ons. I went so far as to disable my AVG client and then tried all three again. I get no ad running and no game. To be honest, I haven't been able to run any no1game.net games for a while. I can play their old games, without the ads, but I guess my computer doesn't like their ad content. Other browsers do have add-ons or extensions that can interfere with sponsored games loading properly as well as computer-wide programs that can affect Flash playback. If it was the site itself, it's more likely the entire page would not load (as is my trouble with Detarou).So, the good news is, this particular issue may still be fixable. It could be that No1Game's sponsor, being out of the region, is triggering something somewhere in one of your programs. The banner says "Nippon Ichi," (pronounced "nee-HON ee-CHEE") which translates literally as "Japan One" and colloquially as "Japan's Best" or "Number One in Japan." It might be a reference to the video game company.